Dr. Jacob D. Merryman has practiced since 2008 and has continued his training in oral surgery, endodontic therapy, pediatric/orthodontic therapy, implant restoration, and patient relaxation. 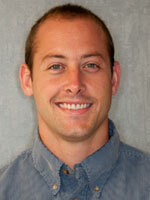 Dr. Jacob graduated from Siena College with a BA in biology and with a DDS from SUNY Buffalo Dental School. While in dental school he completed a minor in Pediatric dentistry at the Buffalo Children’s Hospital. He has also participated in a dental mission trip to Mexico providing dental treatment to people in areas where no dental care is available. Dr. Jacob also completed a year of residency at the Albany VA. Hospital. Dr. Merryman is a member of the Fourth District Dental Society, the New York State Dental Association, the Academy of General Dentistry and the American Academy of Pediatric Dentistry. Dr. Jacob invests time into local schools, providing dental education through fun activities and visual aides to younger age groups. Dr. Jacob is married and has two beautiful sons. He esteems family as a high priority in his life and the lives of others. He strives to provide dental care with a high level of excellence while treating patients as if they were a part of his own family. © 2015 Schutze Family Dentistry. All Rights Reserved.